It had been a couple of months since she had quietly left the Jedi and Desiree Valara had easily managed to get back in to her old way of life. She had returned to her home of Nar Shaddaa and been given a royal welcome back by her loyal friends and regulars who had missed her greatly. Her father's cantina had gone from strength to strength during her time away and she'd hardly even been able to recognise it when she had first arrived. It had become one of the largest in the Red Light Sector, much to her immense joy and she spent pretty much all of her time there, either chatting with the patrons or entertaining herself in one way or another. Desiree could of sworn that business had improved even more since she had returned and judging from the mood of her father when he bothered to make an appearance, that would seem to be so. Sadly or perhaps happily depending on your point of view, Desiree had hardly missed the Jedi Enclave at all and not even once did she consider returning. Sure, there were members of the Order that she missed but that was just not enough to pull her back. The way of the Jedi was not her way and it was a conclusion that she had eventually come to herself. Becoming a Jedi had not helped her as a person and had frankly made her feel miserable, a shell of her former self. Her carefree nature was just too much for them and their old fashioned and arrogant ways. Anyone who did not fit their rigid and cold way of thinking was simply ignored or used as an example to others as how not to be a Jedi. Well, they could sod off as far as she was concerned. If she couldn't be herself then what good was she and how could she help anyone? Tonight, like any other night, the buxom blonde was sitting at the bar, drinking all those around her under the table. Her tolerance for alcohol was at such a level that it was almost impossible for her to actually become drunk and it was simply a way for her to get to know those that she met. She wasn't sure how long she'd been there for but given the amount of drunk people around her, it had definitely been a while. 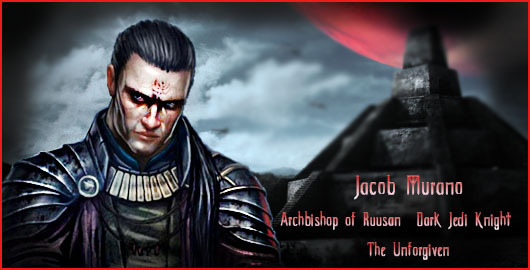 Jacob had heard from the secret group that he led, the Inquisition, about a former Jedi who'd left them and went back to her home of Nar Shaddaa. So he personally would go out and seek this woman and if he could bring her to the side of the Dark Jedi on Ruusan. As they were secret themselves he was given her location as his scouts were strewn all over the galaxy scouting those with Force potential or those who already had it and were looking for a new life. A former Jedi himself, Jacob knew all too well their ways. Also being a Sith at one point he could relate to her and that was also why he would go himself. As Jacob landed his shuttle on Ruusan, his Penumbra mask on along with his black attire he wore while under the guise of The Unforgiven. Why did he have that name? The simple fact that the Jedi would want him either imprisoned or turned back to them, while the Sith would want him dead for deserting them. That was why his Penumbra name was such. He was unforgiven on both sides. It was when Killian found him and brought the former Jedi Knight he then knew his purpose. The darkness within him a balance. The serenity for life and all that went with it his other focus and center. A calm within the storm. In truth he was within the eye of the hurricane. While Jacob walked to the cantina where this Desiree was at. Stepping with firm and calculated steps the Dark Jedi Knight looked to each building until he found the one that he was looking for. Smiling under his mask the former Sith and Jedi casually strolled in. Once he walked into the entrance way The Unforgiven then scouted the area. Noting that most patrons were drunk already he then tried to eye the blonde former Jedi as his orange colored eyes kept looking. Find her nowhere in his initial sight the man known as Jacob to most then kept walking through seeing where she might be. If she was here at all at this time. As Jacob walked up to the bar he then casually looked from left to right. It was only then that he saw the blonde which he should have seen if he was looking in the right direction. A smirk then formed his lips as he then blinked his orange colored eyes at her then sat down a few seats away from her. "Busy night ain't it?" Jacob said through the metallic voice in his mask, "Here often?" He looked straight ahead as if he was talking to her and not at the same time. As the bartender was down a ways tending to someone he figured that she might see that he was speaking to her. Of course he was. Who else would he be talking to? "Always," Desiree quipped in response, naturally assuming that he was talking to her, "You'll find me around here every night, name's Desiree." She turned towards the speaker and rose an eyebrow at his outfit, the blonde had seen her fair share of odd getups in her time but his was something else. The word, "Sith," ran through her mind at that moment but it didn't make her any more cautious or nervous, it was just the first thought that had come to mind. It wasn't as if she held any grudge or dislike for the Empire or its members and she actually had a friend or two among their number. Desiree didn't have a dislike for any of the factions in truth and felt neutral to all of them at this point. Sure, she disliked the manner that the Sith went about their business sometimes but that didn't mean that she was hostile to them. No, she tried to be open with everyone she met, regardless of beliefs or creed. She was a social animal, in her own way. "I think the masquerade night was last week," she then said with a chuckle as she looked him over, "Mind you, I think your look might be a little spooky for that. You a debt collector or something?" Considering the illicit activities that took place in the cantina and her father's criminal lifestyle, it wouldn't of surprised her if that was true. However, she still had that Force user thought in the back of her head and she reckoned her first thought was probably the right one. For now though, she just played along with the banter. 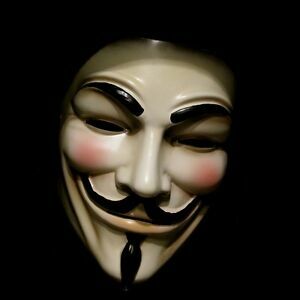 Jacob then smirked under his mask and chuckled, "I go by a few names here and there. For now you can just call me The Unforgiven." Looking around to see if anyone was particularly listening he didn't initially see anyone thus far. He could tell that his attire was strange to her. No doubt she might think him a debt collector. Once she mentioned it he then laughed. If only for a moment or so. No, he was no debt collector. In fact he was much better then that. A Force user although at this point the amulet around his neck wouldn't alert her if she still had used the Force at all. In retrospect if she did she would find nothing at all. Like him being normal. Not that he needed the amulet. It was more a sentiment then anything. His power of the Force he could shrink his Force aura to near nothing. Then again, he didn't even make it form around him. Or anything of that nature. At this point he was trying to be as if he didn't have the Force. Although from what he was told by the scouts and whatnot of the Inquisition that she was a former Jedi. That she'd left them and came here. So in turn she wasn't quite the normal Jedi from their standards. That she'd gotten tired of being compared to being not the typical one. He knew where she came from on that. Sure he was more an aggressive Jedi in his days. But, wisdom and youth were two separate things. He learned after leaving them that wisdom and experience were something he had just didn't show it. All he had to do was learn not to engage in anything right off the get-go. Being a Dark Jedi taught him that as well. As such, Jacob would just strike conversation with Desiree. See if she would fit them. "No, I'm no debt collector. But I suppose I give that vibe off don't I?" Jacob said with a chuckle under his mask, "I suppose many things could be said about my attire. It's just what I wear. What's underneath is a different story." That wasn't meant to be innuendo or anything. It was just truth. What was underneath the person wearing a mask or what would appear to be as such shouldn't reflect who they were. All he did was wear this in public as to not give away who he was under it. There could be those who'd recognize him from Ruusan and give it away. Not that he needed that. In the public on Ruusan he was the leader of a church. Guiding those as he could through life and giving them purpose other then what the Force could. Many would say it was a cult, but they didn't know the difference. He was spreading to be a good person and do good for the sake of others. That there was more to life then just existing. "Take it you had another place to be before coming here?" Jacob asked curiously seeing if she would divulge her former Jedi life. "You make an impression, that's for sure," the former Jedi replied, briefly giving his outfit another once over before looking the figure in the eye or mask in this case and a grin forming across her features, "Perhaps you'd show me what's hiding underneath later?" Desiree could never let a comment like his pass without a playful response and she chuckled for a moment after she spoke. Some things never changed and she was secretly happy that she had managed to retain her open minded approach despite her time among the Order. There had been times where she had felt like she was a sponge being wrung out, having her personality and charisma slowly being drained from her. It might of seemed like a drastic way of putting it but that was the honest truth. In her final days, she didn't even recognise herself in the mirror any more. Her once happy and bright features being replaced by a dull and lifeless look, the look of a woman who had lost everything that had made her special and be replaced by a simple mantra, the unforgiving code of the Jedi. A philosophy that chewed up independence and spat out lifelessness. His question gave her a moment of pause as Desiree thought about how best to answer. She couldn't help but get the impression that he already knew the answer to his question before he had asked it but that caused her curiosity levels to rise. Just what was his angle? It wasn't as if the blonde was hesitant about talking about her time as a Jedi. On the contrary, the Nar Shaddaanian had told a few tales for those who frequented the bar about her time on Yavin. Deciding to just speak honestly, she turned back to the Unforgiven and answered, "I was a Jedi, a Padawan of the Order and another poor soul who believed that following their path would allow me to help those in need and to perhaps grow as a person in the process. However, what I actually found was that learning their ways was doing just the opposite. What they taught me was that in order to be a Jedi, you have to give up everything that makes you human to be one. I couldn't do that. I couldn't throw away my feelings and emotions as that would be like cutting off my own arm or leg. Not only that but it would simply take the fun and adventure out of life. What kind of life would I live if I shut out everything that made it worth living in the first place? I realised that becoming a Jedi was not only not for me but that the philosophy itself is almost childish and perhaps you could say that about the whole light and dark idea too. Both the idea of shutting away your feelings and completely giving in to them are wrong in my view, it's about finding your centre and finding what works for you." She paused briefly and then continued, "In the end, I just couldn't take it any more. One day I packed up my gear and left the place, never to return. I had become sick of the frigid place but most of all, I had become sick of the even colder characters who lurked within those halls. Soulless, emotionless and unable to feel anything. That is what the Jedi truly are." Finishing her drink, the blonde was about to motion for another, only to find that one had already been placed on the counter. Perking up, she took a brief sip and then carried on, a grin returning to her face. "I want to help people, Unforgiven. It's what I did before I was a Jedi, what I tried to do as one and what I'm doing now. You'd be surprised by the number of people who just need someone to spend a little time with them in order to bring a bit of joy in to their lives and that's what I do. I don't care about the rich and famous, I care about those who are trodden on and left behind." She then added, deciding to air her suspicions out loud ad that point, turning to look at the Unforgiven again, "Not exactly Sith material, am I?" The former Jedi laughed at that as she said her innuendo which he didn't expect but wasn't turned away, "Maybe. If cards are played right." Jacob listened as she spoke of her time as a Jedi on Yavin VIII. He knew her pain of being emotionless and then again if he could do it all over again he would. In truth he would have been better if he'd learned the lessons he needed to. Sure his approach was aggressive at times on being a Jedi. But sometimes such situations called for it. Was he gonna feel bad for that? Not at all. Could Jacob have handled it better? Sure. Though that is why he wanted and still wants his son to be a better Jedi then him. To learn from the mistakes he refused to learn from. Have more wisdom then he did when he was his son's age. Become a Jedi Knight better then he ever was or would have been. That was all Jacob wanted for his kids. To be better then him. Renee was already there as a Dark Jedi and she was faring better it seemed every day. As he kept listening to Desiree speak of wanting to find a balance between emotion and inner peace he could tell there was some degree she had the same philosophy on the Force at this point as he did. The former Jedi was all about balance at this point. The calm in the storm. Finding his center within the tranquility of what went on around him. That was how he didn't go to one side or the other. Balance in all things. Nodding as Desiree mentioned that she wanted to help people he understood the nature of that. Jacob always was willing to help others. Though sometimes helping others meant others had to die. Some had to die so others or many others could live. One for a hundred. One hundred for a thousand. So on and so forth. If the need for one to die so thousands or millions of others could survive and carry on then so be it. He knew that creed well and stuck to it. Twas the way of the Dark Jedi. It was only if she could understand that would she be fitting for them. Presenting the idea would be one thing and he would need her to understand that sometimes it had to be done. Doing bad things in some eyes for the sake of good. Or the sake of all more or less. "I understand your point on the Jedi." Jacob said then stood and motioned for her to follow, "We should discuss this away from others though. I'll tell you what you may want to know. That there is another way." Once he walked further enough into one of the corner booths he saw no one within the vicinity. It was sheltered away from the main area. Sitting down as there was room across from him, the former Jedi Knight then looked at her with his orange colored eyes inside the mask. Again his mask and attire were strange, but he was no Sith. Not now at least. He'd been so at one time but realized their ideals weren't his either. Consumed with anger he was at that time and in truth Jacob wished he never went there in the first place. Only Lord Killian finding him did he realize the error of being there with the Sith. As he saw her sit across from him he then smiled, "No...your not Sith material. Neither am I a Sith. Not a this point anyways. What you said about the Jedi is true. I feel your sorrow in that. I've known it myself. Many years ago in fact. Some remember my real name while others don't. My legacy lives on through my son. Though the ones who are the Jedi Masters now know what I did when I was among their ranks. That I was the pedestal of being a Knight. Now, I'm sure I'm compared with the ones who are told how not to be like that." The former Sith and Jedi then looked to Desiree, "As I said...there is another way besides simply one or the other. What if I were to tell you there exists something in between, would you believe me?" Tilting her head as he spoke, Desiree couldn't help but feel sympathy for him, knowing all too well how he must have felt. She wondered to herself for a moment about just how many Jedi had left the faction over the long years that it had been around for and could feel for every single one of them. In truth, the blonde also felt a slight sense of of sympathy for his son, who was still a member of the Order. For a moment, she wanted to ask about why the Unforgiven's son hadn't left too but it wasn't any of her concern so she kept quiet about that particular topic. It was a little personal after all and she didn't even know him that well yet. The thought did swirl around her head though and perhaps it was something that she could ask about at another time, assuming they ever met again. The thought of a different path caused a brief look of confusion to cross her features although the idea was an appealing one. She had never heard of a third way even if she had secretly hoped that there was one. Curious, she listened closely as he spoke about it. The thought of whether she actually wanted to return to the Force user fold was one that briefly crossed her mind but she would at least hear him out. How a third faction could even exist when the Jedi and Sith were so numerous was a question that briefly crossed her mind too although the biggest one was how the other two weren't even aware of it. It did a cause a smile to cross her face though at the thought that there may be a group of Force users, hidden from the galaxy and giving the equivalent of a middle figure to the Jedi and Sith. "I'd like to believe that there's such a way even though I've never heard of it," she said, listening keenly, her blue orbs focusing on him one more, "Is there one?" Jacob simply nodded his head as she asked if there was one, "Indeed there is. That is why I wanted to move the conversation somewhere where no prying ears could hear." He shifted forward in his seat in the booth. The Dark Jedi were secretive. An enigma if it were. Not even the Jedi or the Sith knew of their existence. Sure, they could account for many types of Force users across the galaxy. Though in their eyes they were too small of number to be considered a threat to them. Which is what the Penumbra wanted it to be. Jacob hadn't accounted for that until Killian told him those years ago. When he heard it the revelation surprised him. But it intrigued him as well that they existed. He'd heard of the past where Jedi had gone to the dark and remained there. Or else they were killed for rebelling against the Jedi Order. The same Jedi Order his grandfather and great-grandfather belonged to. Desiree would know of such a thing, and Jacob was here to see if she would fit. Although he could tell she was beginning to but there needed to be more questions asked before he would bring her to Ruusan. "I am one of those who as some would say walk the line between full darkness or light. No, we aren't Grey Jedi of some legends told years ago. As far as I know they're side is no more. But, the group I speak of we are members of the dark...though we aren't consumed by it's power like the Sith. You spoke of a center...balance. That is what we use as well. Balance in such endeavors of the Dark Side. We are seekers of justice where Jedi will not seek. We act when they don't. But we aren't conquerors like the Sith. We do what we feel is right for all. One for a hundred. One for a thousand. So on and so forth." Jacob said to her laying out the basis of the Dark Jedi. To say that she wasn't intrigued by what he was saying would be a lie and there the blonde could agree with the sentiment. To aid those in need was at the heart of what she wanted to do although Desiree was troubled by the one for a hundred ideal somewhat. He didn't need to state what happened to the one in that situation and she knew exactly what he was referring too. The thought of killing was something that had always appalled her and even now, she still retained way of thinking. Taking life was an unforgivable act in her view and was against everything that she believed in. Saying that though, the idea of killing a tyrant or someone who abused the poor and the weak did stir something deep within her. There were many among the galaxy who enjoyed treading on others and would it be so bad if there were fewer of those types among the living? Would killing a dictator in order to protect the people be a sin? She didn't say anything at first and just mused silently to herself although the look in her eye would show a kind of inner struggle. Her pacifism was coming up against her desire to help those in desperate need and neither wanted to back off. It wasn't a happy feeling either and Desiree soon took a long draught from her glass to help her ease her confusion and doubt. "So it's a case of the needs of the many outweighing the needs of the few?" she eventually said, looking somewhat conflicted at this point, talking to herself as much as him, "You guys don't dwell on whether a decision is light or dark in nature but instead you focus on the people and what benefits them the most, even if that means having to take more extreme steps. I can understand that way of thinking and there is a part of me that agrees with you but I've never been a violent person. You talk of killing in such a casual way but just the thought of that turns my blood cold. I am many things but I've never been a killer and I'm certainly not a warrior. I realised that much as a Jedi. My skill set leans towards the more unusual aspects of the Force, gifted with abilities that most of the Order ignored. Jacob watched her take a drink and as she answered he could tell she was conflicted with the beliefs of the Penumbra. As she mentioned she was more a pacifist about things and not a killer or a warrior he could relate. At times he wasn't that either. Though in dire situations one had no choice. That was what he learned as a Jedi as well. At times one had no choice but to take a life. Whether you wanted to or not. As Jacob gained wisdom and insight over the years he understood that the Jedi looked down at him when he was among them for taking such actions. True he was aggressive in his approach to things. The former Jedi Knight took many things into consideration before he acted. If he had no choice but to do something then he did it. To save the hundreds or thousands if it needed to be. "Desiree...sometimes it is necessary to take a life of someone. When you've done everything you could. You think I hadn't done that as a Jedi at one time? There isn't a need to be a warrior. No need to be a total killer. I speak of it casually because as I said we do what Jedi will not do. I'd watched many Jedi not take the actions they should have and outright killed someone...and guess what happened? People were killed because they refused to do what was necessary. I also realized that inside of me was darkness. But I won't go into detail as why that happened yet. Just know, that you have more potential for this then you think." Jacob said to her in honest truth. Sitting back in his seat the former Jedi then sighed, "If you want to do what is right even if it isn't the most honorable or downright devilish thing, then you may fit among us. We're not Jedi. We're Dark Jedi. I'll put this simply...if you had to do it when nothing else could be done...would you take one life to save a hundred?" As he spoke, Desiree briefly imagined herself in the position of one of those Jedi that The Unforgiven spoke of. She saw herself wielding a lightsaber and standing over a man who was kneeling down in front of her. He cried and begged for mercy but his eyes were filled with nothing but cruelty and greed. His act was all a front, he knew it and so did she. They both knew what would happen if she spared him. He would simply scurry away and cause more harm to others, continuing his reign of terror, praying on the weak and helpless. The thought of that sent a jolt of revulsion through her mind and body that she had never felt before and rather than deactivate her weapon, she stepped forward and swung down, cleaving the man's head from his body and leaving him as nothing more than a corpse. Blinking, she came back to herself and realised that what she had thought had been her imagination had actually been the Force, helping to ease her confusion and doubt by showing her a vision. It was showing what she could be, if she could only step past her own crippling pacifism. It helped move the pieces in to place at least and the blonde began to listen clearly to what The Unforgiven was trying to tell her. He wasn't saying that she had to enjoy taking life nor that she should have to consider it as a first course of action. No, it was simply a last resort, one that she couldn't be afraid to do if it was necessary. It was just a part of being a Dark Jedi, one that she would have to accept if she ever wished to follow this new path. That realisation bolstered both her confidence and made it far easier to answer his question. "Yes but only as a final solution and only to those who truly deserve such a fate," she finally said, her blue eyes once more looking him in the mask, "I will never take pleasure nor feel any kind of thrill by ending the life of another but if the situation calls for it then I will take a life. Is that enough for you?" She felt something then, a sense of rightness that seemed to flood through her body and soul. Almost as if something was telling her that she was making the right choice. When Desiree sort of stared off into space for a moment or two he could tell what that was. More then likely a vision of something since he had done that many times in the last year. All of a sudden just stare off like you had been deep in thought. Least hers weren't haunting or he hoped they weren't. His were at times and he was scared of the possible future of that. Jacob was trying to change that and see if there would be a different outcome on it all. So far it was although he didn't see anything of the future yet at least he might change parts and see something better come out of things. He hoped so. All that he could do was hope for it. He let her have her vision although he knew that she heard him. Once Desiree blinked and came back to reality he then knew it's what happened, and again, knowing all too well that whole thing. Sometimes he'd find himself snapping back to reality when visions ended. But once she answered his question and said that she would if the need arose, he then nodded. In truth it was enough for him. There was the matter of falling to the darkness enough and not being afraid of it. One had to find that in their own heart everyone had inner darkness. Jacob realized after so long that he couldn't escape it. Why not embrace it? Which is what he did. Again, he had the help of a Force nexus that had influenced him further but it just made him realize that he had it. He feared such things as a Jedi but now that he embraced it he knew that he could keep from being consumed by it. All he had to do was find balance. "That is enough for me on that, yes." Jacob said then posed another question, "Would you be able to embrace the Dark Side? But, as a Jedi you were told not to embrace too much or too many emotions. That lead to the Dark Side they would say. Don't be afraid of it...embrace it. Don't be afraid to be who and what you are. I was at one time before I am what you see before you. Then I realized that inner darkness is just there in everyone. Some chose to deny and lie to themselves they had it. Know that the darkness is a power unlike any other. It's just that you need to find balance to not be consumed by it." "I have felt it before," Desiree answered, thinking back to her experiences while among the Order, "A Master of the Sith was attempting to convert us to her way of thinking and she tried to do it by filling our bodies and minds with the Dark Side, trying to force us in to giving in to our most carnal desires. I admit that I was tempted back then but I was able to fight it off without too much trouble. I've never been an anger filled or hateful person and so they didn't have all that much to use to try and turn me. The Jedi say that the dark side is fuelled by a person's rage, hatred and anger but the reason why I never considered becoming a member of the Empire was because I knew that I didn't have those darker tendencies. I've never been afraid to experiment though and among the Order, I was always thought of as somewhat of an anomaly." "However," she then said, a smile crossing her features again, "I've always been a.....passionate girl at heart. No, maybe that's not a strong enough word. I suppose lustful would be a better description. I've always been fond of getting close to people as you've probably guessed by now and I'm drawn to those I like as a moth is to a flame. Would that be an emotion which I can use to draw the Dark Side to me? I don't have the wrathful feelings inside that I can draw on but perhaps this could work instead?" Realising that she hadn't given him a straight answer to his question, she then nodded her head, "If my passionate nature can be used then yes, I'd be willing to give myself to it and allow the Dark Side to embrace me." Jacob could relate to that, "I know about that whole bit. I've had others try when I was a Jedi. Then again, I've walked the paths of both the Jedi and Sith at one point. Some thought me strange among the Jedi and Sith. But, I was filled with anger and rage at one point in my life. I just learned to get past that point." When Desiree spoke of being a passionate one at heart he then smirked. Jacob knew what that meant and if it suited her it wasn't a big deal. There were some who were just that. Passionate sort of people and they related to others and if it would suit them and their needs then so be it. Sometimes beauty and things along that line could be deadly if applied to situations and he knew quite well that if Desiree needed to take someone out doing things that way then he was more the happy to let her do it. As long as it served a purpose. Otherwise he explained that she should be who she was. No hiding one's true self. Underneath the visage of what she saw at this moment, Jacob didn't hide who he was. He was a kind person at the center and knew that he had aggressive tendencies which he had tamed over the years. All the former Jedi did was invoke wisdom into himself that his younger self lacked at that point. It was more or less experience that took him to where he was now. "There is nothing wrong with that at all. Lust can be a good emotion to use the Dark Side with. As long as you don't consume yourself in the dark power. Again balance is key. Which it seems you fit among us. More so then you think. Just don't deny who you are and you don't need to hide." Jacob told her with a confident nod as his orange colored eyes looked upon her and he smiled. With that Jacob had his answer to the question if she fit among them. In that aspect she did and he at least took the time himself to find out. Sometimes in his mind he needed to leave and go places where he hadn't tread in such a span of time. But, there were others who also sought those they found potential in. At this point all he would ask if she was ready to leave such things behind. For that was the biggest question that she would have to answer. "Realize now, Desiree, that you must leave everything such as this behind. I've had to leave things behind. My family, my friends among the Jedi and Sith. They cannot know we exist. Nor do they need to. To them...you wouldn't exist anymore either. Well, in a sense. Think of it as being reborn into something different. For a better purpose." Jacob said as his tone behind the metallic mask was stern. The blonde was relieved to hear that her own carnal desires could be used as fuel for the Dark Side and she began to feel comfortable with the idea of embracing that area of the Force. It honestly didn't seem as evil as the Jedi made it out to me but honestly, Desiree believed in little that she'd been taught by the Order now. She was far more outspoken about her dislike of the Jedi philosophy now then she had been while among them but even then, she'd had her issues with it. Her conversation with the masked figure was only proving her doubts to be true and she felt a sense of comfort that she'd been able to avoid being suckered in to the frankly foolish notions that they spoke of. Her open mindedness had saved her from a life that was little more than a droid's. Unfeeling and empty. "I understand that Dark Jedi are a secretive faction but surely it would be far more beneficial for the group if I didn't just vanish," she replied after some thought, "I do have a wide amount of contacts across the galaxy, both among the Force user factions and closer to home. It would seem a waste if I was to throw all of that away when those contacts could be useful for our group. Besides that, I'm not going to be able to do my best work if I'm forced to hide behind a mask and costume every time I leave the home planet. I mean you must of looked pretty suspicious when you came in here wearing your gear and I imagine that you'd have made less of an impact if you hadn't. Surely it's sometimes better to follow a hidden in plain sight kind of deal, right? Who is going to suspect the lovable, friendly, fun loving Desiree of being a Dark Sider?" She wasn't trying to be difficult but the blonde knew that she had a valid point.